There's busy - and then there's working-mum-with-a-two-year-old-who-is-also-renovating-her-house-and-is-an-aspiring-music-video-star busy. Meet Emma Browne. 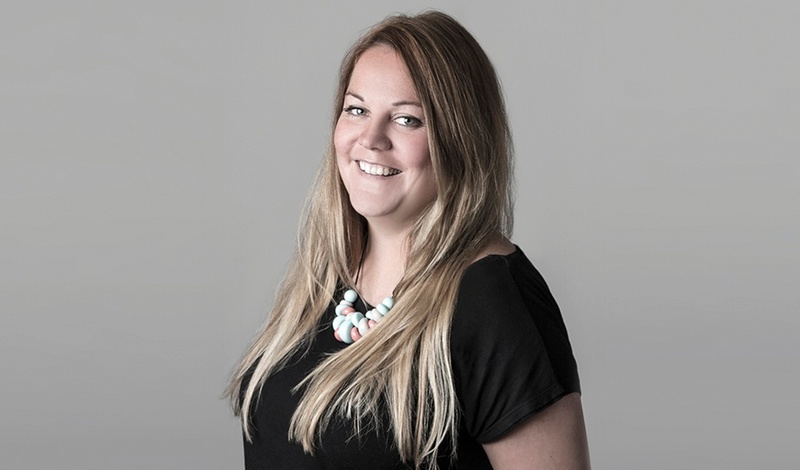 Emma has been with Because for 6 years, but has been working agency side for over a decade. Before she joined us, she was working for integrated agencies developing BTL campaigns. She's worked across multiple sectors including FMCG, retail, alcohol, leisure, automotive, healthcare, government and charity with household brands such as Heineken, Sanex, Renault, Colgate and Boursin (more on that later!). Back in the day, she also worked as a holiday rep and has some very interesting stories to tell (which may or may not be suitable for this blog). When Emma isn't killing it at work, she's mum to a 'very sassy' two year old and is also renovating a house (this woman loves a challenge) - saying she 'needs something to fill her spare time (NOT)'. She's also a social butterfly, spending time with friends and family when she can. We got Emma to sit down for a hot minute and answer 5 questions to tell us what makes her tick. 1) Which campaign in your career are you most proud to have worked on? The Boursin Sensorium. The challenge was to appeal to a younger audience and do something unexpected in the category – and we did! We created a 4D experience that included a virtual reality ride around a fridge. It was a truly immersive experience and ground-breaking at the time, winning multiple awards including a Masters of Marketing Award, UK Drum Award and Event Technology Award. It also gained a social reach of over 5 million, which is pretty impressive. And let's not forget the 'perfect serve' - we measured out the bread thickness for the perfect bread-to-cheese ratio! Overall, it was a really fun project. 2) Which person, dead or alive, would you love to have dinner with? Sounds really corny but a younger me. There are definitely a few things I’d tell myself! 3) What show are you currently bingeing on Netflix? And what makes it so ‘bingeable’? I don’t have much time for TV (well, anything except Paw Patrol, which I can recite by heart), but my guilty pleasure is a bit of reality TV - Love Island all the way! 4) What’s your go-to drink? And why? Everyone in the Because team knows I am a tea monster by day. Out of work, I love a chardonnay – the oakier the better! It just instantly makes me feel relaxed after a hectic day. But it needs to be a nice-shaped glass - it’s all about the tiny details of the experience. 5) Name one thing on your bucket list. I would love to go to Sri Lanka to visit the tea plantations and experience the food and culture. Randomly, I’ve also always wanted to be in a music video! Want to join an award-winning, creative-experiences agency? Check out our latest vacancies and you could be featured here!